Quality of Drying & Speed of Drying. Normally products are dried with hot air. However most products which require drying are temperature sensitive. Drying operations involve the removal of all moisture to the required level. Surface moisture (and it is often assumed that it is only type of moisture present) is conventionally removed by raising the product temperature by using hot air to vaporize the moisture. However this can result in product spoilage as many products like cocoa, gelatin, coffee etc are temperature sensitive and need to be dried at low temperature. Proper removal of the hygroscopic moisture depends on the difference between the relative humidity of the air surrounding the product and of the products equilibrium condition. If the RH of surrounding air is lower, then the product will give up its hygroscopic moisture to the drier air to be in equilibrium with its surrounding velocity of the air over the product have little or no bearing on the drying speed? Bulk (Batch) drying when material is loaded into a compartment and entire load is dried as a batch. 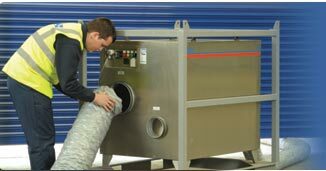 Continuous drying is when the wet material continuously is fed into the drying room/chamber and it leaves the chamber, dried to the desired result. As every material has different physical characteristics, which determine how it holds or gives up moisture, and published data on their drying is generally not available, selecting appropriate air-drying equipment must be done experimentally. Usually the sudden change in drying rate (at the critical point) donates where the initial drying via removal of free moisture ends, and hygroscopic drying takes place over. In other words, the product has lost its free moisture but is still hygroscopic ally saturated. However the net effective drying surface and hygroscopic properties cannot be determined in any other way. 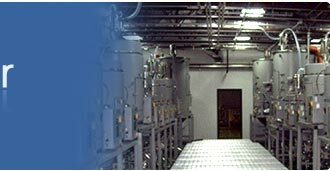 Dehumidification is the most cost effective and easy method to ensure drying without spoilage as the drying is based on the difference in vapor pressures of water in the product and the surrounding air. By physically removing the moisture from air, through the condensation the evaporative potential of the air is maximized. Some applications demand reduction of Humidity form the atmosphere of the Room, Cabin, Hall & Buildings. Certain critical electronic components, Server Rooms, Laptop, Digital Photocopiers and machinery behave adversely due to high humidity. During summer the humidity reduces upto 65% with the help of air conditioning but during the monsoon and during the winters the solution can be achieved only by Dehumidification. Typically server rooms if placed in basements are prone to high humidity. Welding electrodes if stored must be stored in humidity between 40-50% but if humidity increases it adversely affects the product quality. Packing for export shipment needs dehumidification especially in cases for Leather, Surgical Blades, Ball Bearings, and Food items, Electronics etc. Due to humidity present in the atmosphere the product packed has the high content of moisture in the packed shipment. During the transit period this affects the material and we find mould on leather and rusting layers on metals. Even in large offices during rainy season the humidity is required to be reduced rather than reducing the temperature. But often we use air conditioning to reduce the humidity whereby reducing the temperature to a very uncomfortable range and also spending excessively on electricity. 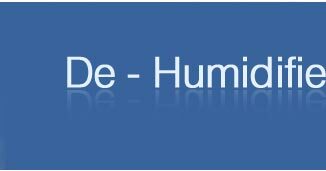 Dehumidification improves air quality and efficiency in commercial area and also dehumidification helps the asthmatic patents. Inorganic Corrosion : Rusting of metal surfaces. Organic : Mould, mildew, funguses or any bacterial growth. Humidity Control in Indoor Swimming Pools: Indoor swimming pools require a Rh level of 40-60% for building safety, comfort and energy consumption. Any much variation beyond 40-60% Rh would generate level of bacteria, viruses, fungi and algae which leads to poor air quality. For swimmers 50-60%RH is most comfortable. High Relative Humidity are destructive to building components and mould & mildew can attack floor, walls,& ceiling coverings. Generally indoor pool air is maintained appx.1 to 2Deg Cel above the pool water temperature(but not above threshold of 30Deg C) to reduce the evaporation rate and avoid chill effect on swimmers. Manufacturing of Honey, Spices, Noodles, Pasta, Walnut, Mushroom, Chillies, Starch, Dryfruits, Cardboard Box, Soaps, Tobacco, Wood, Flowers, Ceramic Tiles, Carpet, Medicine, Surgical Blades, Coffee/Tea Vending Machine Powder, Pharmaceuticals and many more. Packing section for all the above items including surgical blades, electrodes, medicine, Pharmaceuticals units and many more. Residences, Offices, Basements, Server Rooms, Wood seasoning Units, Wood Storage, Hospitals, Restaurants, Swimming Pools, Ice Skating Areas, Cold Rooms, Cold Storage, Printing Units, Powder Coating Plants, Art Gallery, Painting Booths, PAINTING OF WALLS / FLOORS etc. Laser treatment is extremely popular today ,to prevent deterioration in eye condition and occasionally to cure it. Laser strength reduction: Moisture in the air decreases the laser energy absorbed by the stroma, the thickest layer of tissue in the cornea. Also some patients cornea may become hydrated before the procedure, making it more difficult for the laser to remove the tissue. Higher the humidity ,lesser the affect of the laser. A 10% increase in treatment room humidity meant an additional nine out of 100 patients require an enhancement procedure. To avoid these problems, the RH inside the eye surgery rooms should be maintained around 40% Rh at 20Deg Cel. Chocolates, Chewing Gums, Bubble gums, candies contain a large percentage of sugar /sugar based ingredients which are hygroscopic in nature. When humidity increased these products regain Moisture and become sticky and prone to mould formation. This inhibits the natural flow as it sticks to the high speed processing and packing machinery and also to the wrapping material. Change in the structure/dimensions of the film core interface. 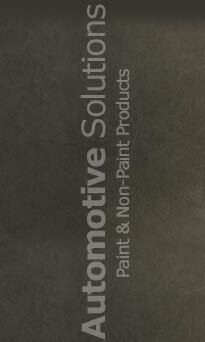 Increase in residual moisture content and improper adhesion ie: degradation of coating quality presence of moisture. Chocolates need to be stored at 35+5% RH at 25Deg Cel for safe storage in order to retain its original flavor and aroma.